Home > Baby Deals > Ergobaby Baby 4 Position Carrier, $83.29 (reg. $160) – Today Only! Ergobaby Baby 4 Position Carrier, $83.29 (reg. $160) – Today Only! Looking for a baby carrier? 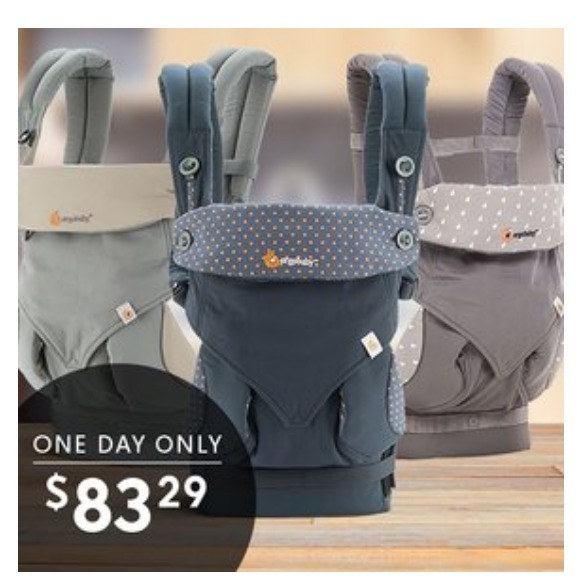 Zulily is offering the Ergobaby Original Four-Position Baby Carrier for $83.29, regularly $160. This carrier is a favorite among many mamas and great for when you need your hands free with a little one in tow. Do note you can buy a separate insert for infants too. Offer valid today only, 5/4. Shipping is one-time fee starting at $5.95 then free the rest of the day.